Moscow, July 12, Interfax – The centenary of the execution of the last Russian emperor and his family will be marked by a 21-kilometer nighttime religious procession led by Patriarch Kirill from the Church on the Blood in Yekaterinburg to the Monastery of the Holy Royal Martyrs at Ganina Yama, the Patriarch’s press secretary Rev. Alexander Volkov told reporters. In this way, the Patriarch will pay tribute to the memory of the canonized royal family, who were executed by the Bolsheviks early on July 17, 1918 at the Ipatyev House, where the Church on the Blood was later built. After the execution, the bodies of the royal family and their servants were taken to a pit (Ganina Yama) 21 kilometers away and destroyed there with fire and sulfuric acid. Decades later, in late 2000, the Holy Synod blessed the construction of a monastery in memory of the Romanovs at the site of the barbaric destruction of their bodies. 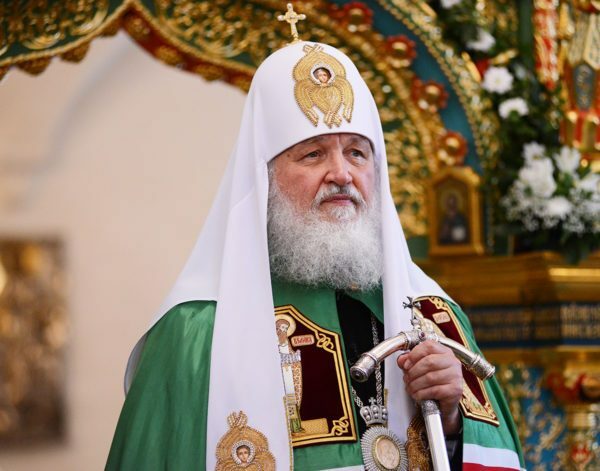 The Patriarch’s visit to the Yekaterinburg Diocese, timed to coincide with the anniversary of the tragedy, will take place on July 13-17, the Russian Orthodox Church said on its website. After arriving in Yekaterinburg on Friday, the Patriarch will visit the Church on the Blood in honor of All Saints Resplendent in the Russian Land. On Saturday, July 14, the Patriarch will chair a Holy Synod meeting in Yekaterinburg to mark the anniversary. On Sunday, Patriarch Krill will consecrate the Church of the Feodorovskaya Icon of the Mother of God at the Monastery of New Martyrs in Alapayevsk and lead a liturgy in the newly consecrated church. On the same day, he will perform a prayer service near the Alapayevsk mine shaft and visit the monastery of the Holy Martyr Grand Duchess Elisabeth Feodorovna for a small consecration service of Elisabeth’s Church, then visit the Holy Trinity Episcopal Church. On the night of July 16, the Russian Patriarch will lead an all-night vigil on the square in front of the Church on the Blood, followed by the religious procession to Ganina Yama. After it arrives there, a prayer service will be performed for the royal family.